Every day, around 1,000 children contract HIV worldwide, most of them newborns. Unless the transmission is prevented, these children may live shorter and less productive lives. 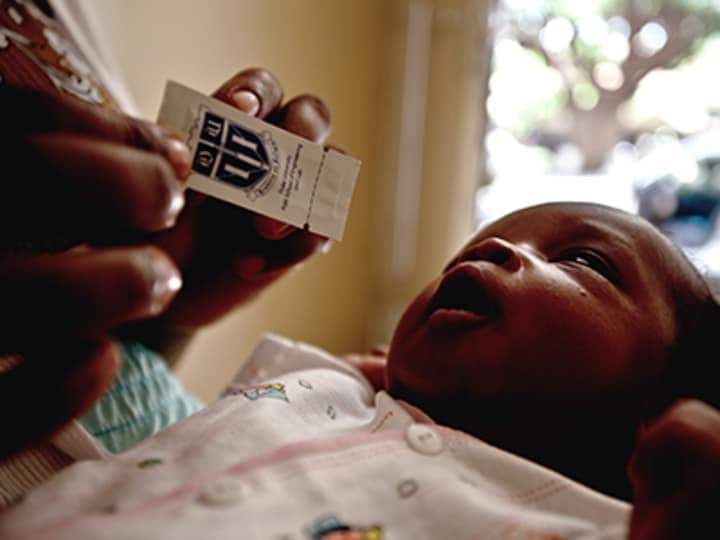 To prevent mother-to-infant HIV transmission, access to medicines and health care is essential. But that’s a particular challenge in many poor countries, where the bulk of birth deliveries take place at home. “We realized quickly that [the situation] was a drug storage and delivery problem that we could solve,” renowned Duke biomedical engineering professor Robert Malkin told Devex. Malkin and his team at Duke University’s Pratt School of Engineering have invented the foilized polyethylene pouch, which is designed to extend the life of antiretroviral drugs that are given to mothers in the second trimester and later to babies after the home delivery, if birth delivery can’t be done in a health facility. The pouch serves as a bridge until the mother can bring the child to a health facility to receive ARVs. Here’s how the Pratt Pouch works: Using an electric heat sealer, a local pharmacist seals the pouch after filling it with predosed antiretroviral medication as per local protocols. The medication remains stable for 12 months inside the sealed pouch. Once she gives birth, a mother will tear it open and squeeze the ARVs into the baby’s mouth. It all resembles a ketchup packet you may find at your local fast food restaurant. The use of the pouch is now being tested in Ecuador; the goal is to expand trials to Zambia later this year. If the trials succeed — by helping mothers to accurately deliver medication to their children at home — Malkin said he expects to expand the test to more countries. Currently, Malkin and his team are looking for aid partners engaged in preventing mother-to-child HIV transmission that are willing to use their resources to support trials of the device. “We can’t fund the partners, but we can provide devices and training materials,” he said. Malkin wants to bring the product to market by 2014. When asked about the biggest challenge to realizing this goal, he’s quick to point out that as with many other initiatives, it’s an issue of money. The Pratt Pouch, named by the World Health Organization as one of 10 innovative products in 2012, and its integration into health care systems was nominated to receive a seed grant from the Saving Lives at Birth Challenge. Though they depend on the scope and scale of the innovation, seed grants cannot exceed $250,000, a small fraction of the $4 million Malkin estimates would be needed to bring the Pratt Pouch to market.